Crew was performing a charter flight from Pointe Noire to Luanda with one passenger on board, the Mauritanian businessman Rashid Mustapha who was candidate to the Presidential elections in Mauritania in 2007. The pax called his bodyguard just before takeoff, asking them to be ready upon arrival at Luanda-4 de Fevereiro Airport. 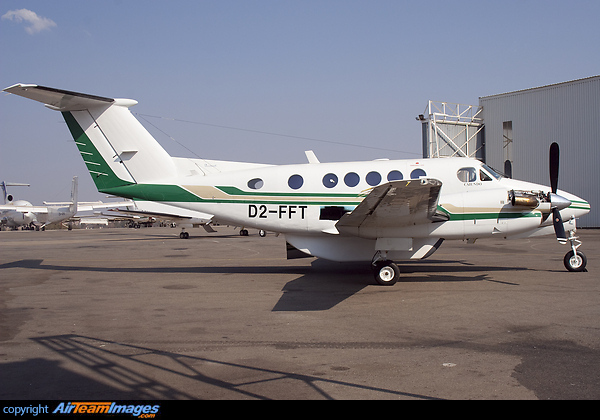 Twin engine aircraft left Pointe Noire at 2321LT for a 75-90 minutes flight to Luanda. Just before it started its descent, while cruising in the region of Caxita, some 50 km northeast of Luanda, aircraft disappeared from radar screens at 0020LT. SAR did not find any trace of the aircraft and all operations were suspended several days later. All three occupants were considered as deceased. It is presumed that aircraft crashed by night in the ocean off the Angolan coast. Three years later, in March 2013, unconfirmed reports and rumors in Africa said that the aircraft never crashed anywhere and that Rashid Mustapha was in fact hostage by a terrorist group somewhere in Africa, but this was not confirmed by Officials in Mauritania or Angola. Without any trace of the aircraft, all hypothesis are still open.